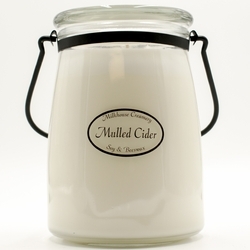 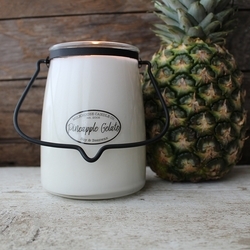 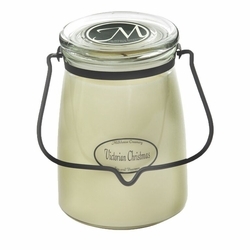 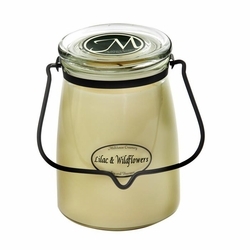 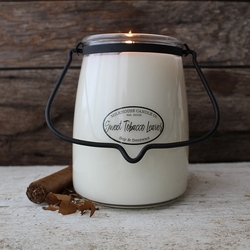 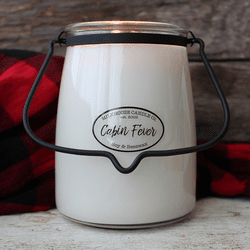 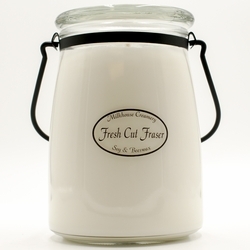 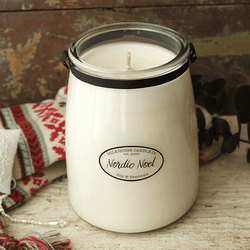 Milkhouse's single-wick 22 oz.Butter Jar Candle is a tremendous value. 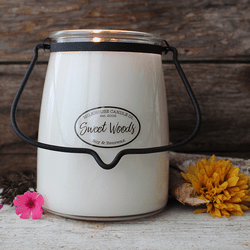 Natural soy wax infused with pure beeswax is just the beginning. 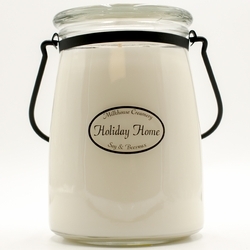 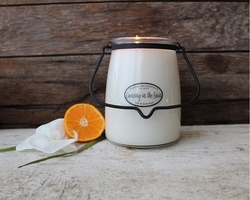 Milkhouse fragrances are true, and you'll experience excellent fragrance throw from the first light to final flame. 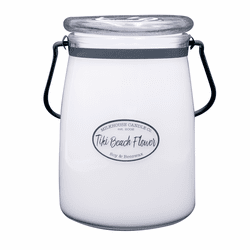 130 hours of burn. 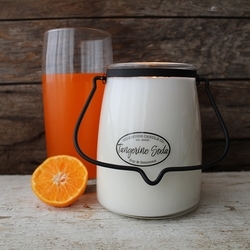 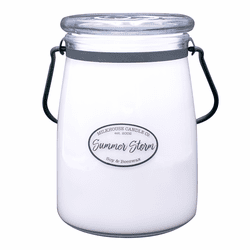 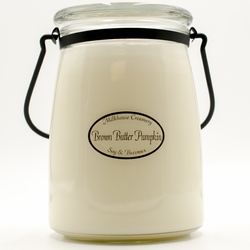 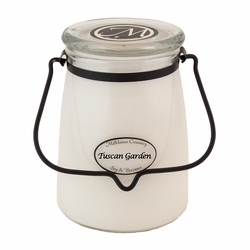 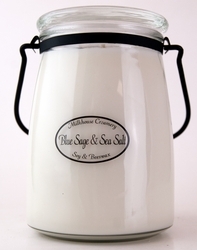 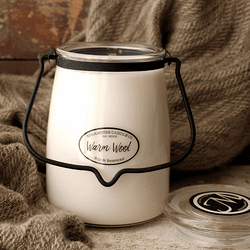 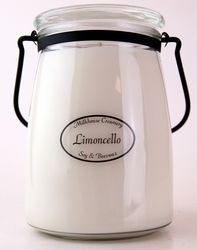 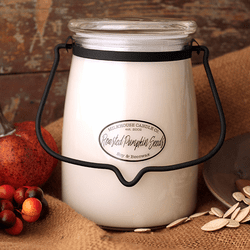 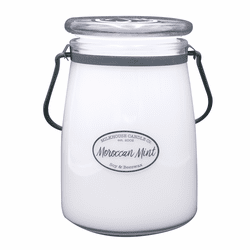 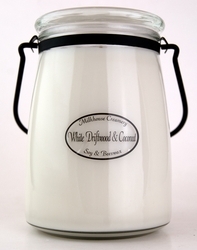 Glass Butter Jar made in the USA!� Includes black metal bail & handle and glass lid.